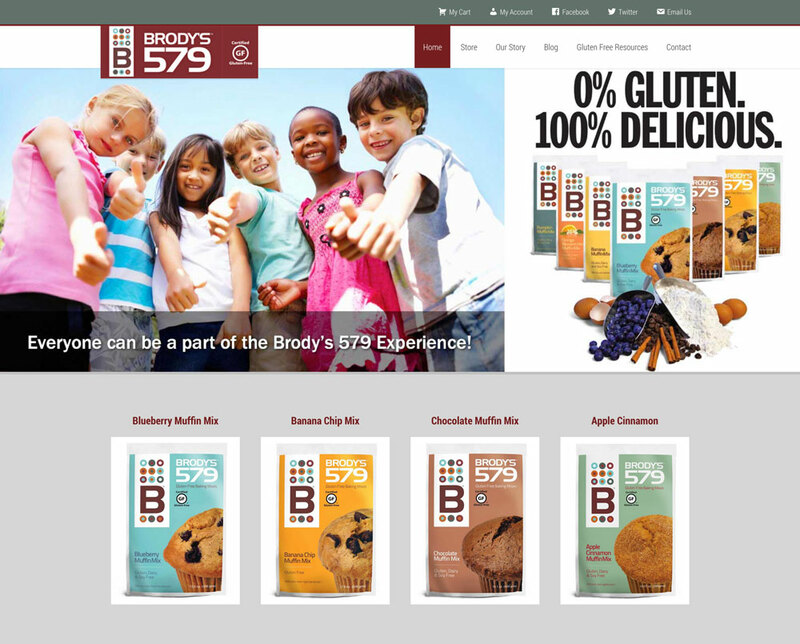 Brodys 579 is an ecommerce site for gluten free mixes. Celiac disease and gluten-free were not words familiar to the founder’s family since they loved breads, pastas and baked goods. Everything changed when Kathy Schwartz’s nephew Brody, at 18 months old, became incredibly sick. He began throwing up following meals. It was sporadic and not consistent with the flu. After three weeks and many trips to the doctors office, he had lost three pounds and he was weak. Brody’s aunt Kathy stepped in. Being a Registered Dietitian, she understood Brody’s parent’s frustration and began to experiment and soon mastered the best chocolate chip cookies either they, and Brody himself, had ever eaten. Brodys579.com was born to take these mixes to market. Innov8Press built the complete ecommerce site.